LCD Backlit Display, with maximum reading of 3999. 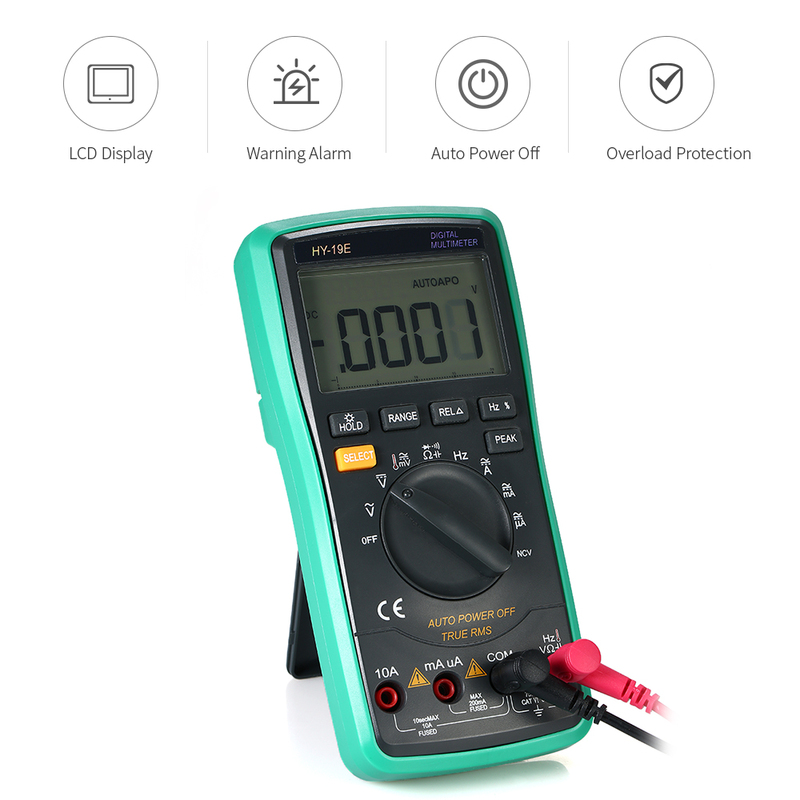 AC voltage range: 0 to 1000V. AC Current range: 0.1µA to 10A. DC Current range: 0.1µA to 10A. Auto power off (15 minutes). ACV, DCV, ACA, DCA, Resistance, Diode, Frequency, Capacitance, Duty Cycle, Continuity, Temperature, Range Hold, Data Hold, REL.